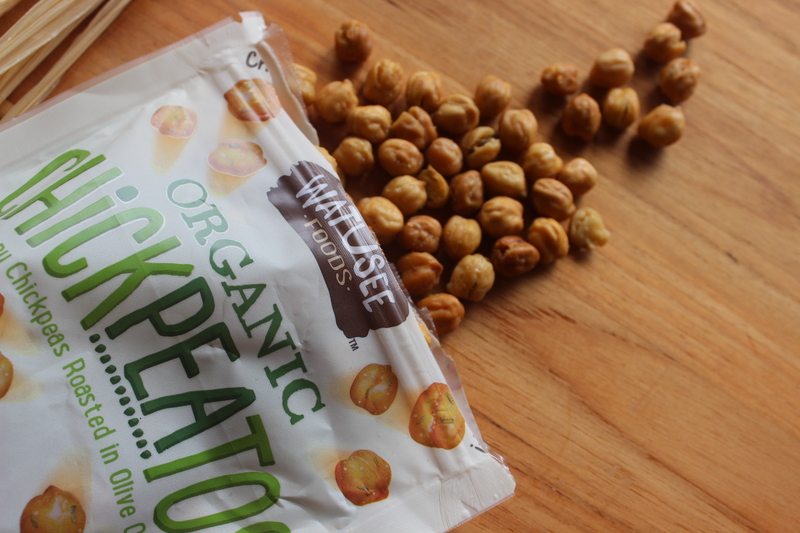 My Favorite Good-for-You Crunchy Snack…Chickpeatos! As you know, I love cooking and experimenting with new recipes. Most of the time when I do this, I’m pretty successful. But sometimes I end up with duds despite my best efforts. 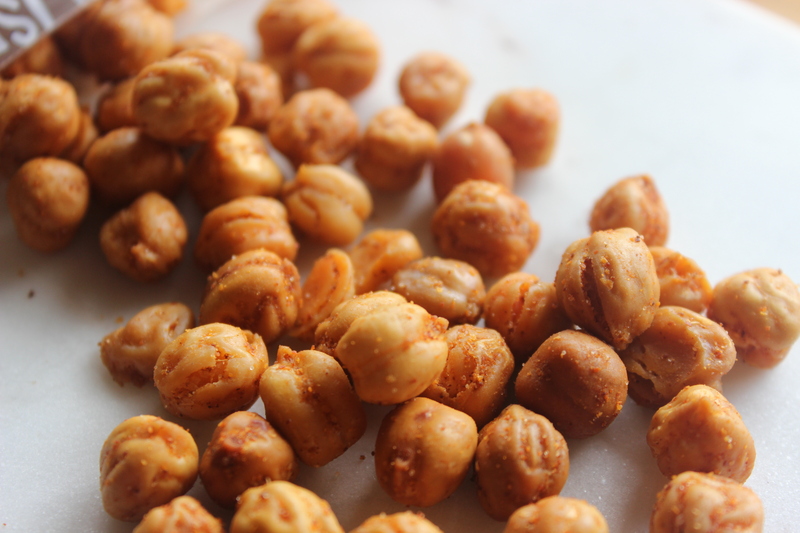 I’ve tried to make crispy baked chickpeas about five different times with no success! I’m still open to figuring out a way that works, but when I don’t feel like doing that, I opt for these yummy snacks instead. Although I make a majority of my own meals and snacks from scratch, sometimes I buy stuff in packages. They’re called Chickpeatos. A fun play on “Cheetos,” one of my favorite snacks as a kid. 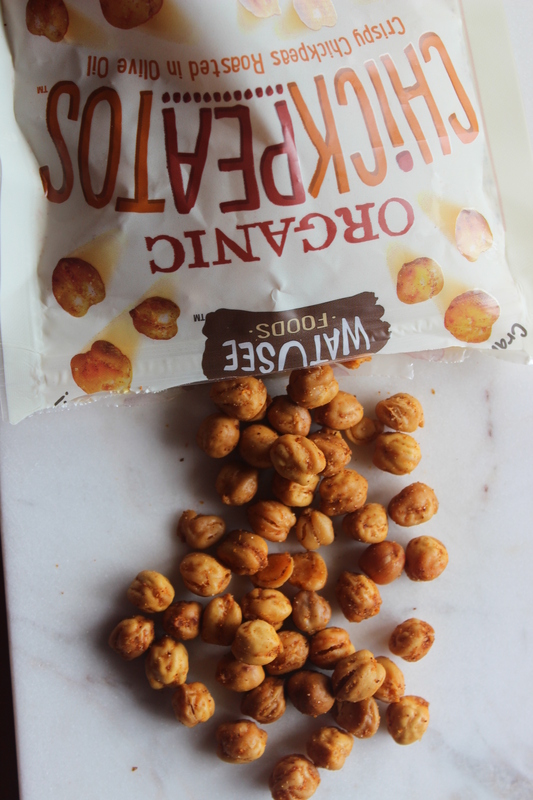 One of the co-founders was in medical school when he started making his own roasted chickpeas to curb his afternoon hunger pangs. He shared them with his peers, and the idea took hold. If you’re from the Baltimore/DC area, you may recognize the former branding of this DC-based company, which used to go by 2Armadillos. 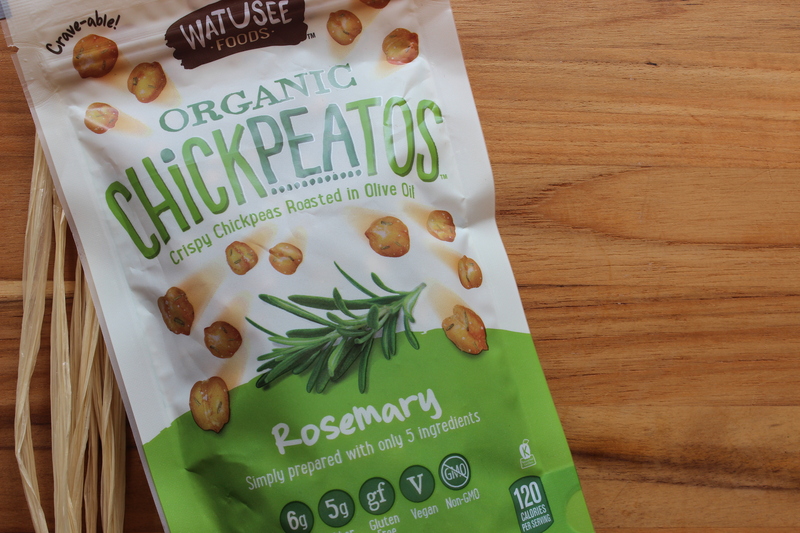 Known simply as Watusee Foods, they’ve created new packaging and branding that’s more attractive, fun and relevant. I love creativity and transparency, and this company delivers on its promise. You know exactly what you’re getting inside every package. No fillers, preservatives, or ingredients we can’t pronounce. Their crispy baked chickpeas are SO GOOD. I’ve been sampling them at one of the health and nutrition workshops I teach about how to Fuel for the Road and Eat Well on the Go, and everyone is loving them! If you’ve read about my top eating guidelines in the past, you know that eating foods that contain a minimal number of ingredients is super important to me. I apply the same standards for packaged foods as I do for fresh food. For that reason, I try to eat as many foods as possible that ARE ingredients (i.e., ingredients in an apple?…APPLE!) vs. foods that are made from lots of different ingredients. 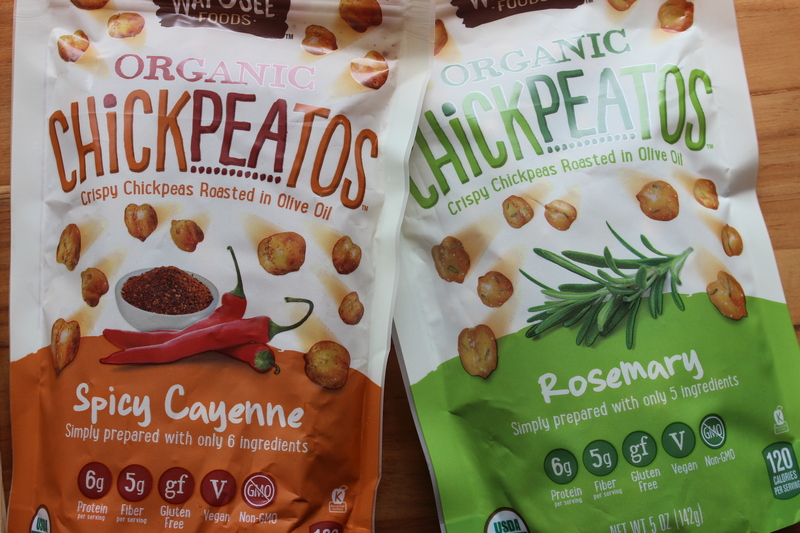 I’ve found Chickpeatos locally at MOMs Organic Market and Whole Foods, and I bet Wegmans sells them, too. You can also buy them directly from Watusee Foods’ website here. It looks like they’re adding a Store Locator functionality soon, so that should help you find them. I like eating them as a snack OR putting them on top of salads for a nice crunch – just like croutons, only better for you! 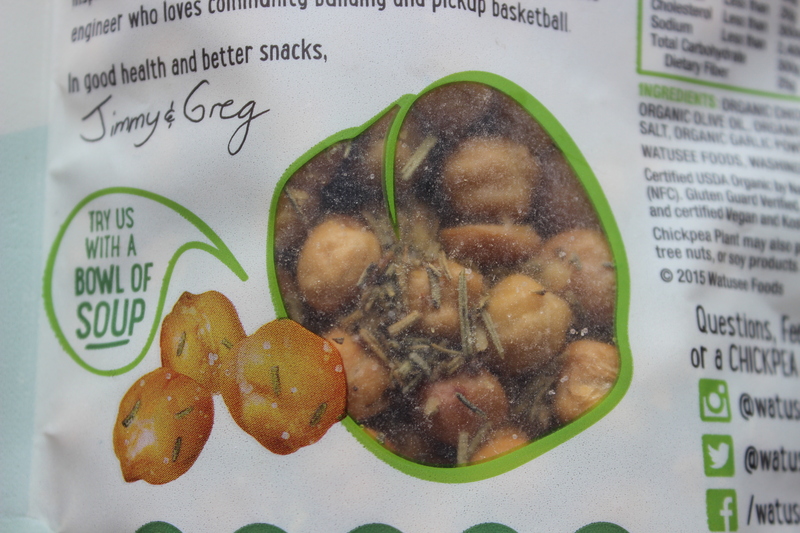 Have you ever tried crispy chickpeas? Or maybe, unlike me, have you had success baking your own chickpeas that stayed crunchy and didn’t burn? Either way, I’d love to hear from you, so feel free to leave a comment! Stop Playing Small…Who Are You NOT to Be Great?